They go together like peanut butter and jelly, only not quite as sticky. 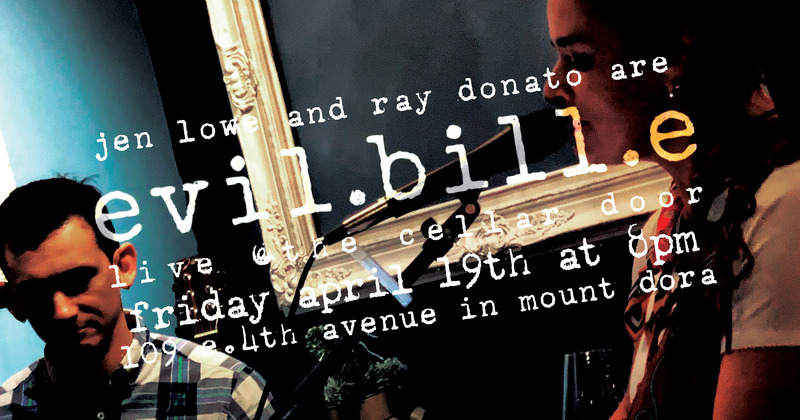 It’s Jen Lowe and Ray Donato, performing for your listening/dancing/vibing pleasure as evil.bill.e. Wine, beer and cider sold separately, but all are guaranteed to pair perfectly with tonight’s entertainment.